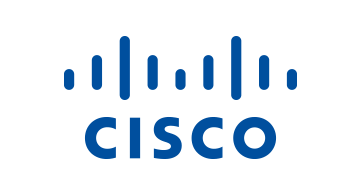 Cisco (NASDAQ: CSCO) helps seize the opportunities of tomorrow by proving that amazing things can happen when you connect the unconnected. An integral part of our DNA is creating long-lasting customer partnerships, working together to identify our customers' needs and provide solutions that fuel their success. Cisco's highly secure, intuitive platforms help financial services mitigate risk and provide an exceptional customer experience. In today’s digital world, financial institutions are experiencing changing customer expectations and a rise of the FinTechs and InsurTechs, all while managing risk and maintaining regulatory compliance. You need a digital-ready infrastructure to stay ahead of this transformation. Cisco Digital Network Architecture is the core technology foundation for financial institutions that revolutionizes how you design, build, and manage your networks to accelerate and simplify your IT operations so you can focus on innovation that drives business value. Key networking innovations – automation, virtualization, analytics, and security – help streamline branch and corporate operations, manage risk and compliance, and personalize customer experiences. For more information, please visit www.cisco.com/go/financialservices.